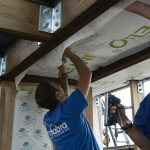 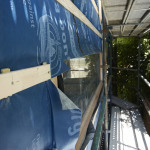 The process of air-tightening the building has begun! 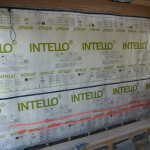 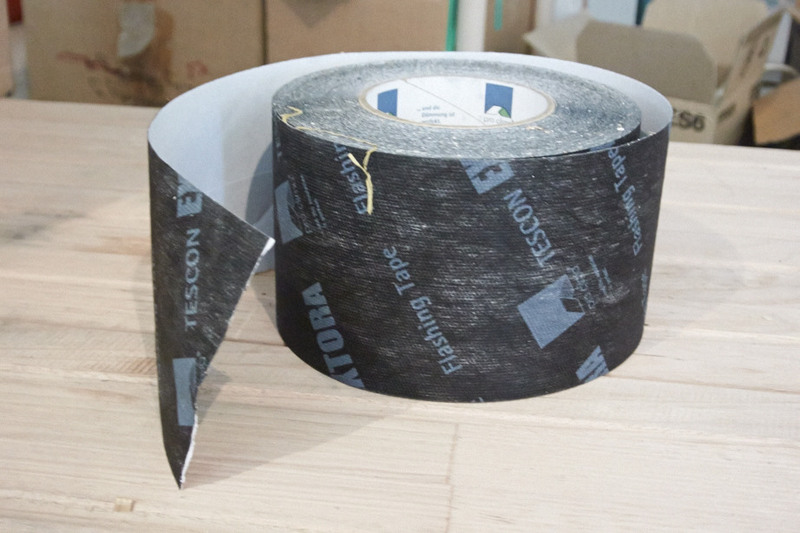 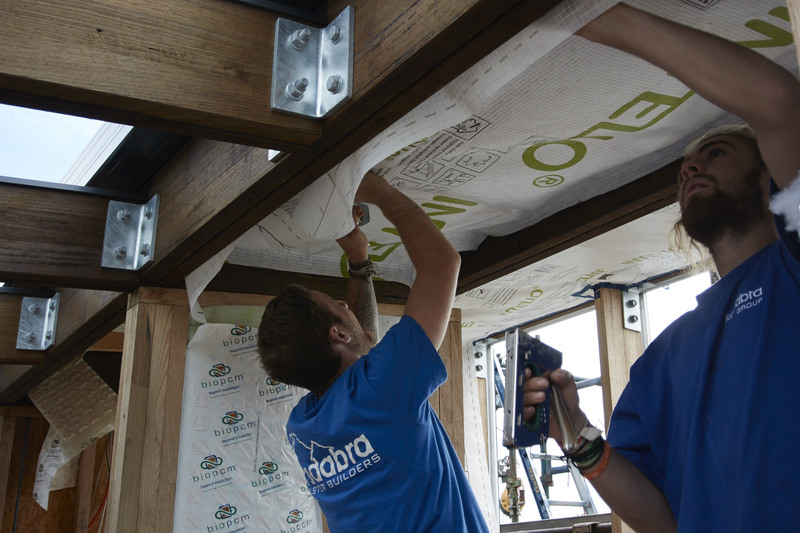 On top of the external layer of Spaceloft insulation sits the Pro Clima, the exterior airtight layer as advised by Passive House Australia. 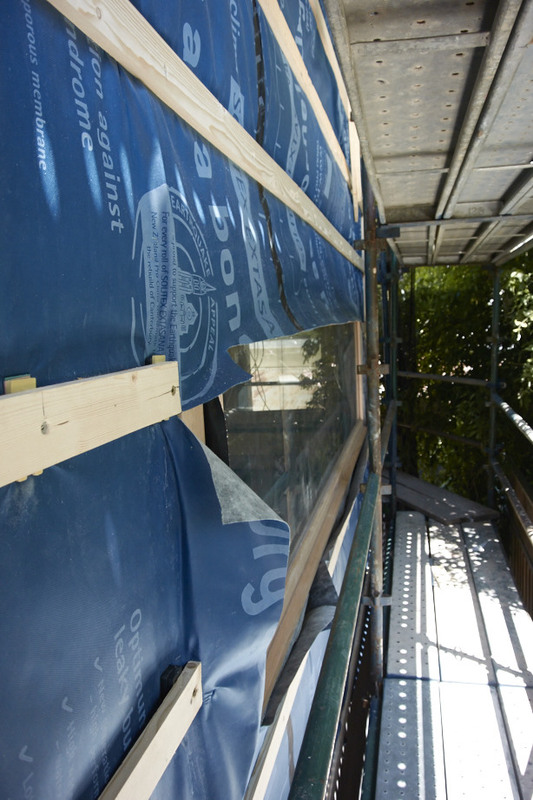 This was boarded roughly in place, and then taped at all the edges and joins to create an airtight wrap around the whole building. 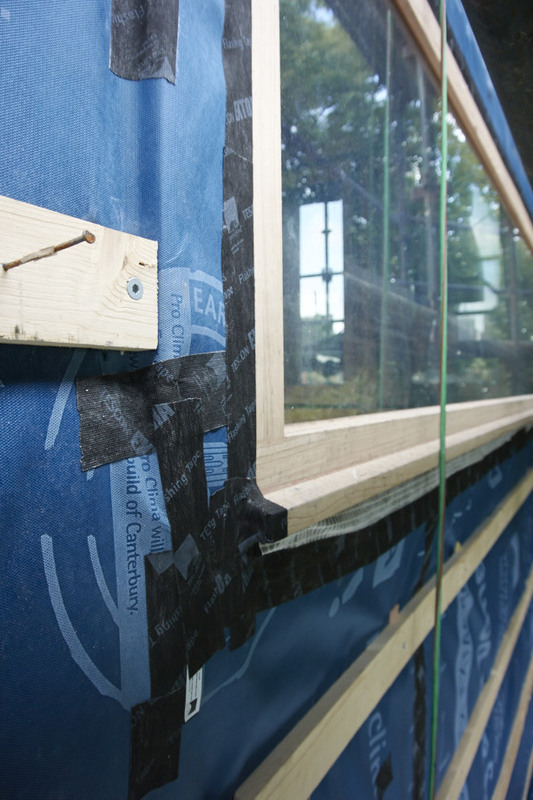 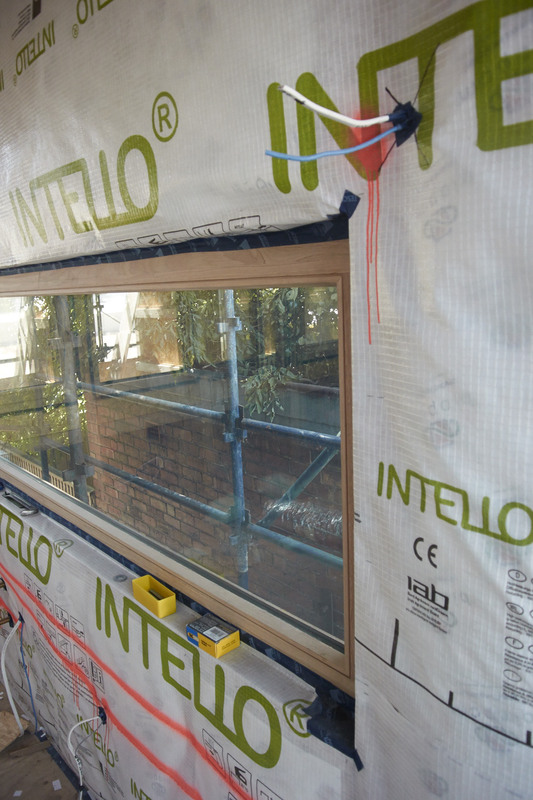 Not surprisingly, the windows proved to be the tricky parts, although it was very important that we had a completely airtight building so as to utilise both the geothermal heat as well as the heat recovery system from Passive House. 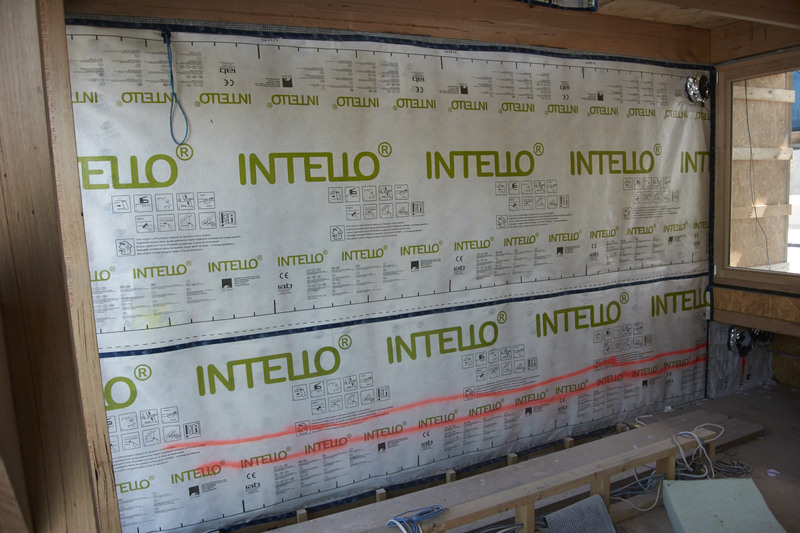 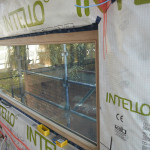 Once the exterior wrap was complete, the inside was insulated and then wrapped with another Pro Clima product, called INTELLO. 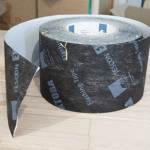 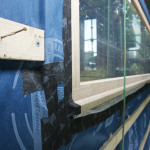 Every wire-hole, seam and edge had to be taped, and once it was complete we had an airtight Wall System!